Decreed by Theodore Roosevelt in 1908, the Indian Head design of Bela Lyon Pratt was placed on the nation’s $2.5 quarter eagles and $5 half eagles. 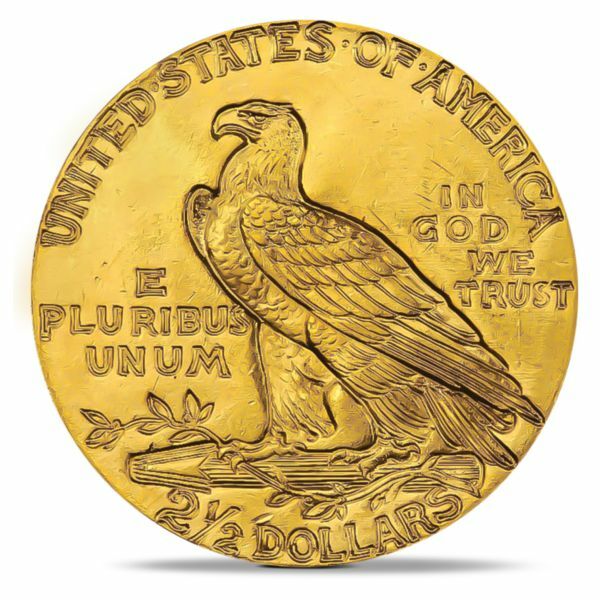 Pratt’s design was unlike any other seen in American coinage in that the features of the coin were incused (meaning indented or recessed), as opposed to raised above the surface. To this day, these coins are the only two in American history to have this special design. 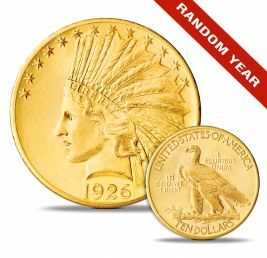 In 1929, Black Tuesday began the Great Depression and the Gold Indian coins ceased being minted. 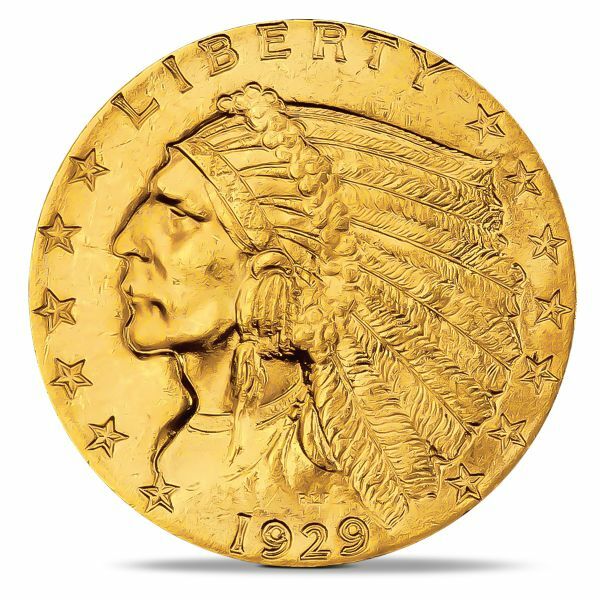 Then in 1933 Franklin Roosevelt, Theodore Roosevelt’s fifth cousin, enacted the Gold Confiscation Act and most of these golden antiquities disappeared forever. 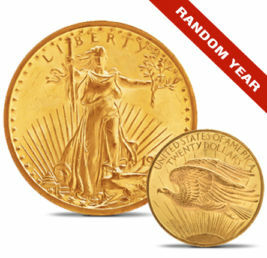 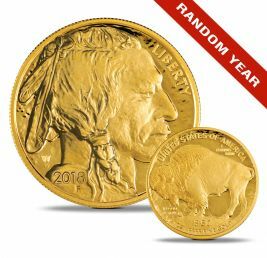 We at Nationwide Coin & Bullion Reserve want as many individuals as possible to take advantage of this offer. 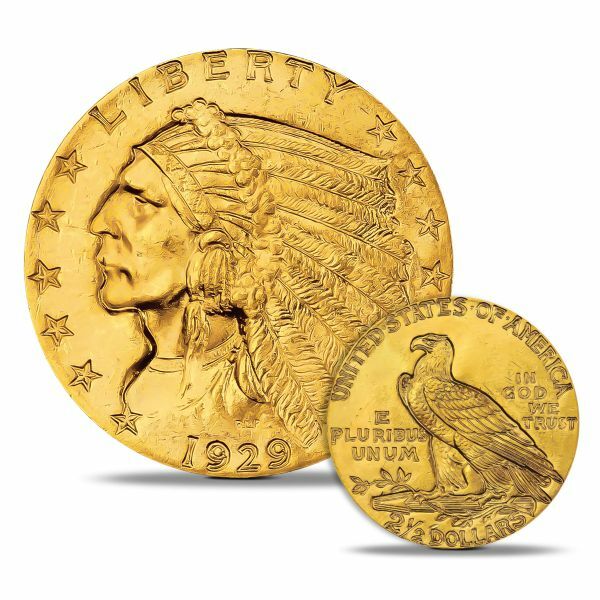 Due to an extremely limited supply we must adhere to a strict limit of ten coins per household, per lifetime, absolutely no exceptions.